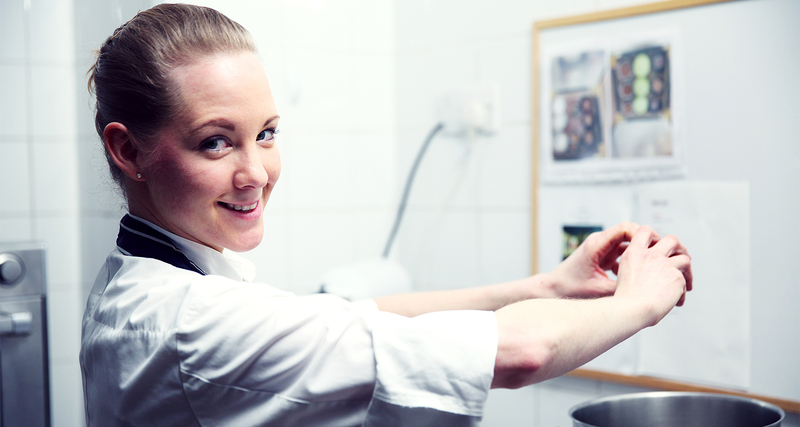 Meet Rebecca - Our Talented Pastry Chef from Les Ambassadeurs on Vimeo. Introducing Rebecca de Silvia, our incrediby talented Pastry Chef. With an already vast array of experience at some of the worlds finest restaurants, Rebecca is now flexing her wide range of culinary skills at Les Ambassadeurs. In the first of a series of features, showcasing the dining room and club in the heart of Mayfair, we caught up with Rebecca to chat about desserts, her experiences as a chef and, of course, our great casino. I cook because it makes me and those around me happy. What better profession is there? Even as a child growing up in Barbados it was food that was pivotal to my happiness, and I continued this passion in my later years, choosing to study for a Degree in Culinary Arts. It was during my studies that my interest in pastries and baking began. To this day, whenever I travel back home, it's my cheesecake recipe that the family get excited about. My tastes however are a little more balanced, and you might be surprised to hear that I don't have a super-sweet tooth. I believe desserts are all about balance. That synergy between taste and texture. One is just as important as the other. The best desserts and pastries please all the senses. When you succeed in that balance, then you're on to a winner. After all, dessert is the final part of any meal, the culinary full-stop. It's what people remember. Although I'm that person that works backwards from the menu: first deciding what dessert I'm going to have. After my studies I worked in some of the best kitchens in Barbados, developing my skills and furthering my knowledge. The pinnacle of these years was my appointment as Pastry Chef at the Tides Restaurant working under Exec Chef (and Roux brothers trained) Guy Beasley. Keen to build skills and test my abilities, I left the abounding sunlight of Barbados and the Caribbean for London, in 2008. A decision that friends still question me about. Arriving in the UK, and ready for my next kitchen adventure, I began work at The Lanesborough Hotel under Pastry Chef Tal Hausen. Tal was fantastic and one of the biggest influences on my development as a chef. Under her tutorship, I was exposed to a higher standard and sophistication of pastry work. Her guidance enhanced my skills and changed how I approached pastries, deserts and breads. After five years at The Lanesborough I was promoted to Head Pastry Chef and when the hotel closed for renovation, I moved to the Corinthia Hotel on Whitehall. Before long I was looking for another challenge, another kitchen adventure. The opportunity to work at Les Ambassadeurs Club at the start of 2014 seemed like a natural step. As Head Pastry Chef I knew that I'd have the opportunity to not only work on developing my own style and techniques, but to use the position to educate others on the team. The fact that it's a casino kitchen and part of a private member's club (in one of the most multicultural cities in the world), means that you're regularly tested. It's an ambitious task. But I enjoy it, and I rise to it. There's no concept or rule book here; customers don't always stick to the menu listings. There have been occasions when I'm asked to create a dessert from here, there and everywhere. 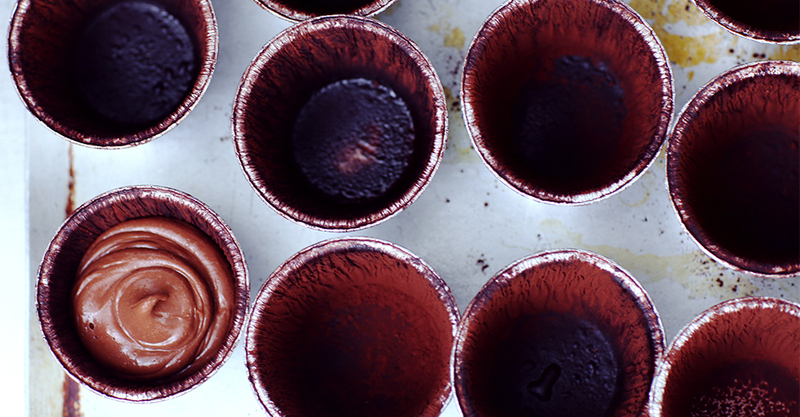 From the current menu, the Warm Chocolate Fondant is definitely the most dense and seductive. It's made using Amedei chocolate from Tuscany and served with hazelnut cremeux. I'm often asked what dessert I'd recommend, and while the staff are always trying to sneak one of my macaroons fresh from the oven, I usually suggest the Kalamansi Cremeux. The Kalamansi Cremeux is a dessert reminiscent of the ones I used to create as a child in Barbados. You have a coconut sponge with meringue, then roasted pineapple and pineapple sorbet. It's a new sort of dessert for most people, something exotic. But then we also serve Valrhona Bahibe Namelaka alongside established French favourites, crème brulée and crêpes Suzette. The environment at Les Ambassadeurs means you're always tested, always challenged. This brings out the best in the kitchen. It's a warm and enjoyable environment, and so rewarding to be able to bring together my Caribbean heritage with the best in classical French techniques and modern flavours. I have the freedom to exercise my style, combining the traditional refinement of some desserts, with the modern, more experimental techniques required in others. Above all, it's the pleasure in pastry and desserts that's the over-riding achievement. The pleasure I surrounded myself with as a child. I never take for granted the power of food, how it brings people together: families, lovers (and gamblers). The fact I can give so much enjoyment to customers is the most rewarding sense of achievement, and that makes me feel like a child again.